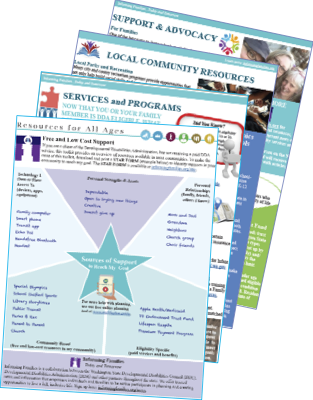 If you are not receiving a paid service from the Developmental Disabilities Administration, or you’re looking for more support than you currently have, our four page Resource Toolkit can help you identify support and activities available in most communities. How to request services from DDA. Links to state and local resources. Ideas for connecting with your community. Support for families, siblings, and individuals. invest money without losing needed benefits and services. For organizations, agencies and others needing more than one or two copies, order printed copies below.